Time changes everything, even the venerable capitals of Europe’s great empires. But the more they change, their character – both stylish and stately, modern and ancient – deepens. Amsterdam blends its past and present as seamlessly as any city on Earth, Paris teems with historic landmarks nestled amid chic arrondissements, and London’s gleaming skyscrapers stand shoulder-to-shoulder with castles and churches from a bygone age. These streets have stirred poets and painters, philosophers and revolutionaries, travelers and locals alike for centuries. Explore them and discover Europe as it is, was and will be. 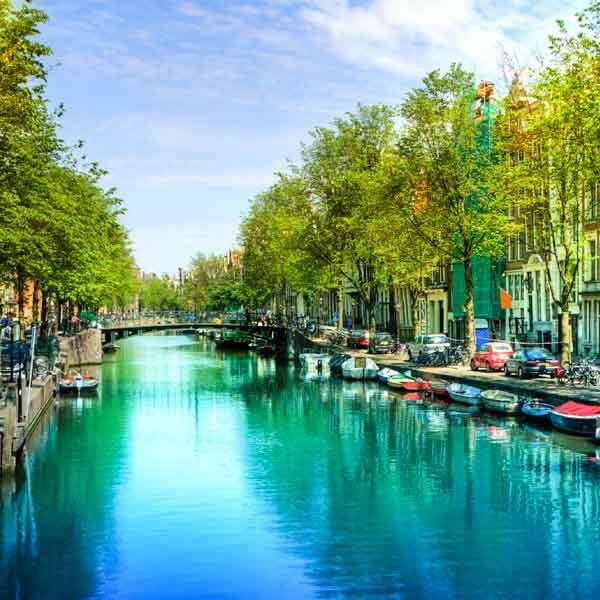 Begin in Amsterdam with a privately guided walk past its elegant mansions, royal palaces, and bustling flower markets, then cruise down the Amstel to explore the city’s famous canals before exploring Zaanse Schans, a windmill-dotted hamlet frozen in the 17th century. Later, explore the sights of Paris with the help of a private guide and driver, then step into the opulent world of Louis XIV on a private tour of the manicured gardens, royal courts, and ornate apparetements of the Palace of Versailles. In London, embark on a privately guided tour that takes in the modish West End, the palaces of regal Westminster, and the City of London, and other sights before a full day’s exploration of the mysterious prehistoric monument of Stonehenge and the town of Bath, whose thermal springs once healed the aching joints of Roman conquerors.